A Summary On Getting Summery. Hi Hi Hiiiiiiiiii!! Long time, no see. Talk. Read. All of the above. Life has been busy and summer is almost in FULL swing. Have you seen it outside? It is GORGEOUS! The sun is out, the days are getting longer, the sunsets are vibrant, it’s all coming together! 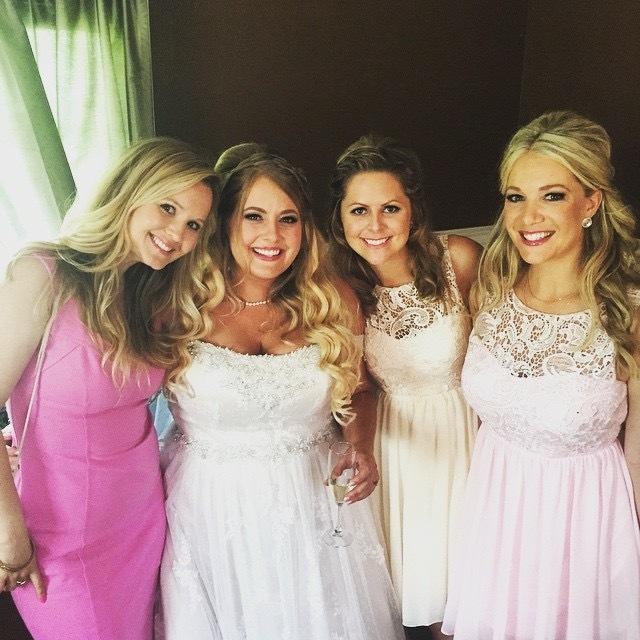 I just got back from San Diego, where I had the wonderful enjoyment and honor of being a bridemaid in one of my best friends’ wedding. The wedding was so beautiful, and the bride looked like something out of a fairytale. I mean, truly. It was all magic. The venue, the couple, the afterparty, I cannot imagine doing one part of it differently. Before I knew it, all of the wedding festivities wrapped, I was on a plane back to Seattle, and all the sudden, I realized the summer season had officially hit my city. Having been gone for a week, I got back to my apartment, and something just wasn’t quite right. The colors were dark, I had coats hanging on every hook, a plethora of blankets on my bed. I walked in, and thought, ‘Uh-uh. This needs to change. 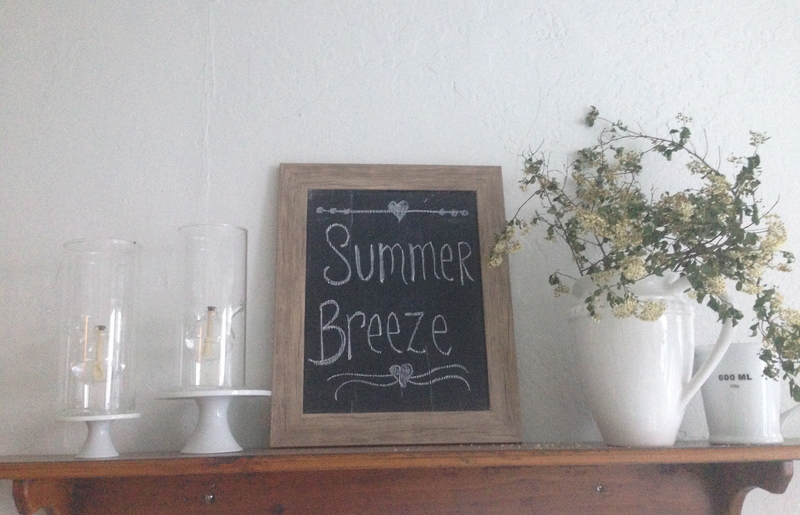 Time to Summer-ize.’ So maybe you are feeling like me, like you need to peeeeeel off the layers of seasons past, and get yourself right smack dab in the middle of summer mode…Join me? Take all coats, beanies, umbrellas, rain jackets and sweaters off the coat racks. Store them away. Somewhere you cannot see them. Just do it. You’ll see them again, so don’t let your ‘goodbye hug’ linger too long. Just say, ‘until next time, old friend.’ And then put it into the back of your closet. Because you won’t need any of it for months! Replace those hooks with your baseball cap, a light and breezy blouse or button up, a canvas tote to bring to the farmer’s market…. whatever things you’ll need on a typical summer day. Trust me, you’ll be happy for the convenience of it all right as you’re walking out the door. Change your bedding. Take off those plaid flannel sheets, and put on some cool, crisp white sheets. Nothing, and I mean nothing, says ‘SUMMER’ like clean white sheets. Strip the bed of anything that is bringing added heat to your bed. Come on, you don’t need it! Take off that heavy feather duvet, and add a colorful quilt. Put a light blanket draped over the edge of the bed, just in case there is a chill at night. My most most most favorite thing about summer though, is those dang white sheets! I look forward to it all year long. There’s just something so luxurious about getting into bed on a hot summer night, and being enveloped in that soft, pillowy cloud of white. Treat yourself to some high thread count white sheets. You deserve it. You really do. Add some signage, bring the outside in, accessorize your home. Have a shell collection? Put em on display in a big mason jar! 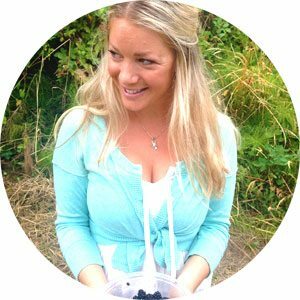 Growing a beautiful garden in your yard? Cut some fresh flowers and put em on your window sill. Anything that feels like summer to you, put it on display. For who, you ask? You, of course! Filling your home with things that you LOVE will bring you joy whenever you look at them. It’s the little things, right? 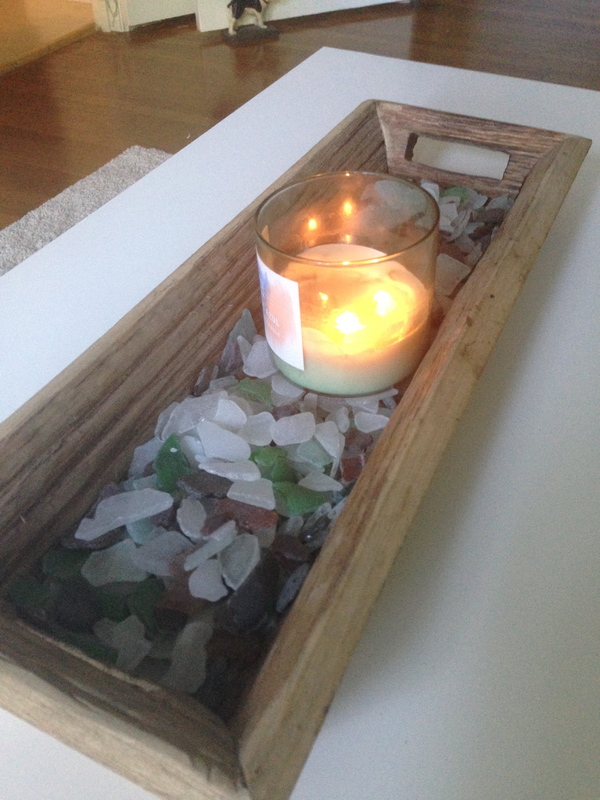 I have a large sea glass collection, and I fill a wooden tray with all the pretty pieces I have found. Nothing says summer like something you’ve found on the beach, right? Anything works! If it makes sense to you, it works. 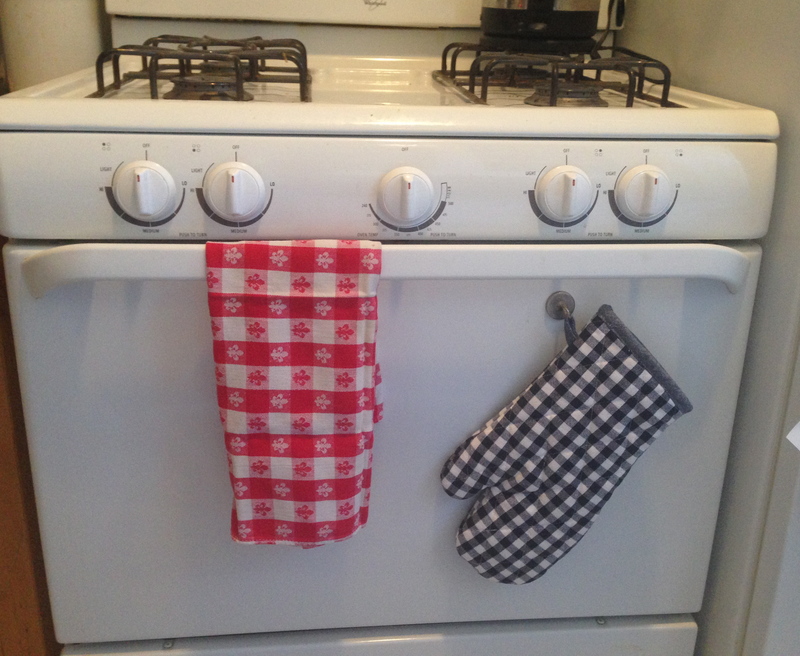 Like the dishtowel and oven mitt on my stove- it reminds me of a picnic. And the colors are patriotic for the fourth of July. Boom. Summer on full display. Keep those windows open and get some light and flowy curtains. Nothing like a summer breeze coming in and seeing the warm air causing the drapes to gently sweep through the air. It is so delightful. So summer. Do yourself a favor and get some light and fluttery curtains for your home. It makes all the difference. You had to have guessed it, right?! Come on, I know you had a feeling. YES! BAKE A PIE! A mixed berry one at that. Berries are in season, and soooo yummy right now. 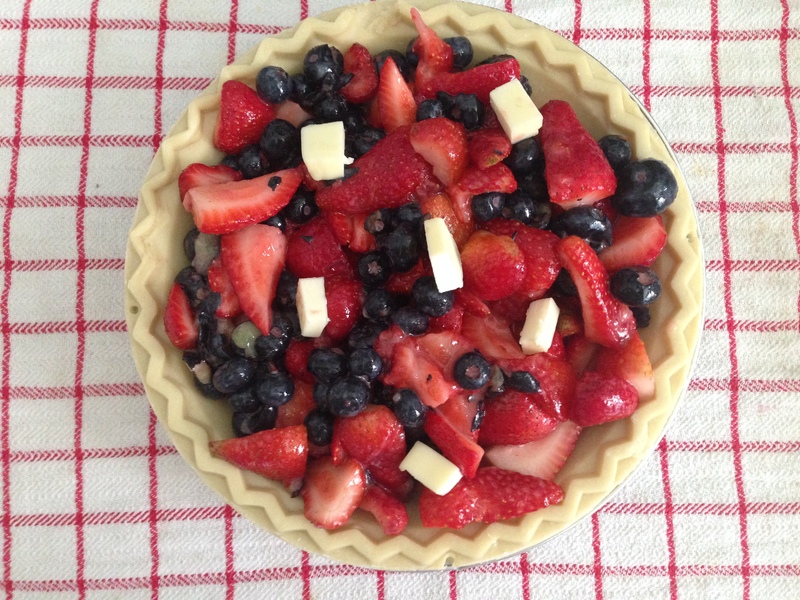 A mixed berry pie is the PERFECT thing to bring to your next summer BBQ. And, it is seriously easy. I mean, Eeeee-zeeee. Grab something to write with, I’ll wait…. Ok, ready?! 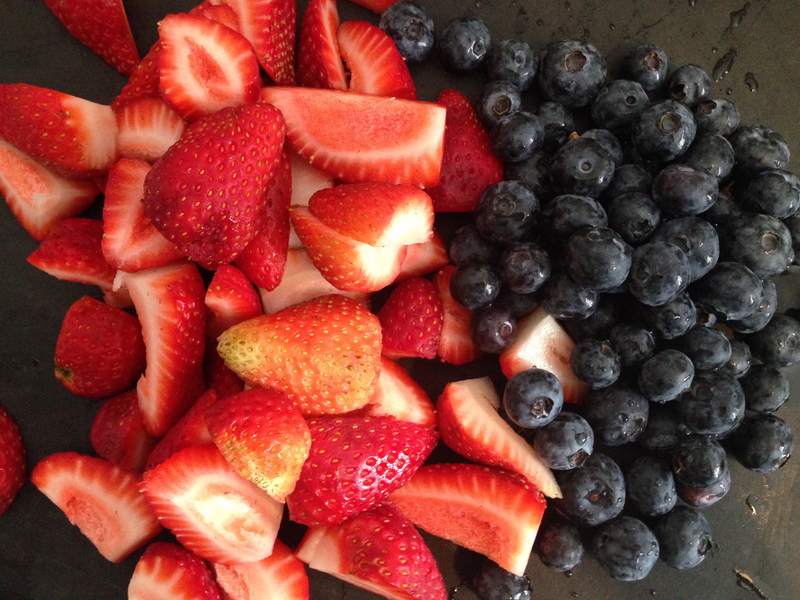 Grab 2-3 kinds of berries. Whatever kind you like! Raspberries, strawberries, blueberries, blackberries, you’ve got options. This time, I only used 2 kinds; strawberries and blueberries. Sometimes simpler is better, right? De-stem the berries and quarter them if necessary, a la strawberries. You want about 4 cups of berries total. 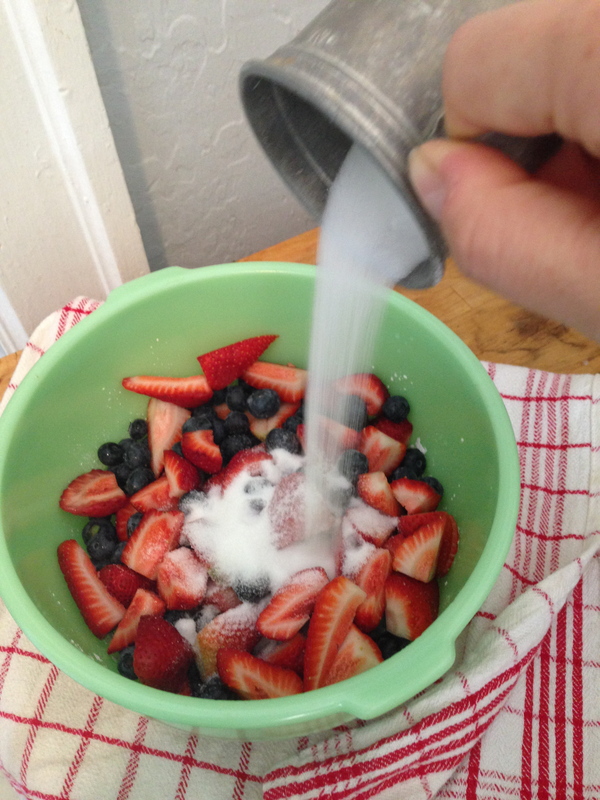 MIx and allow fruit mixture to sit for 15 minutes. Sometimes I make pie crusts, sometimes I don’t. Store bought is JUST FINE. And delicious. Don’t fret if you feel like buying one pre-made. A pie is a pie. 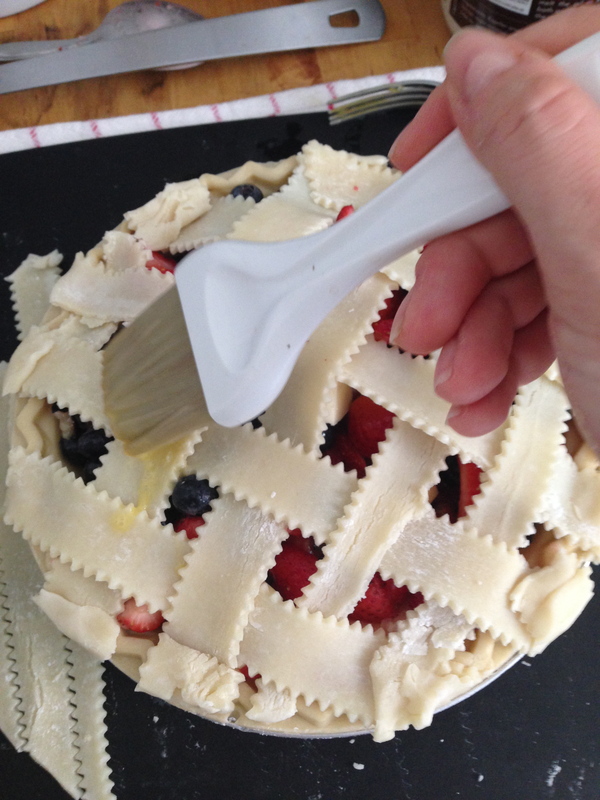 Pour the berry mix into your unbaked pie shell. 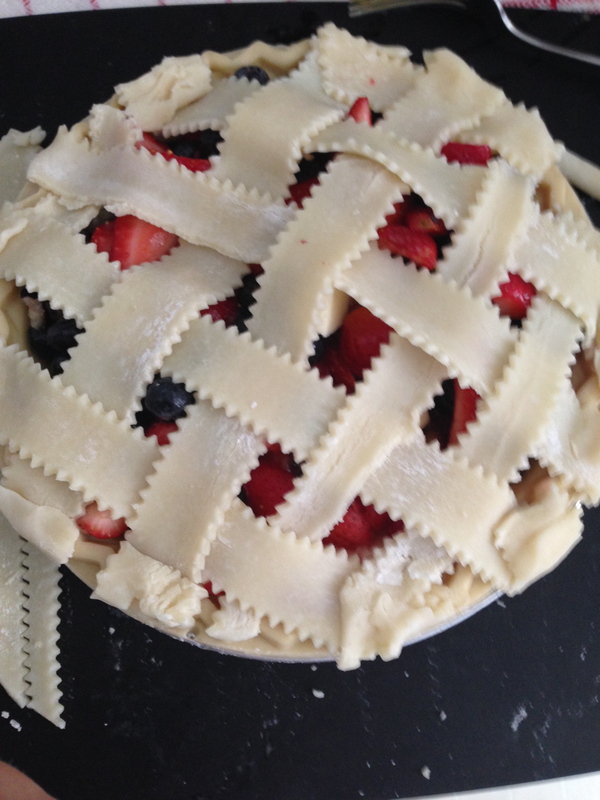 Next, add a lattice top to the pie, which makes the pie look homemade and rustic- here is a great tutorial, and the one that I used to learn the lattice-making craft. 🙂 Once you have your lattice top in place, brush with an egg wash (one egg mixed with a splash of water) and sprinkle with a light dusting of sugar. Voila! Put your pie on a foil lined sheet pan, and cover the top with foil to prevent burning! Bake for 25 minutes before removing foil, and then bake for an additional 20-30 minutes until the filling is bubbling and the crust is golden brown. YUMMMMMMM!!! There ya have it folks! A full day of getting the house summer-ized, baking a summer pie, and feeling all summery inside. Now, get outta the kitchen, stop decorating and go enjoy the sun, would ya!? 😉 Happiest of summer to youuuuu. Enjoy every minute of it. 4 Comments on A Summary On Getting Summery. I just love you!! I’m so inspired and excited for summer instead of feeling overwhelmed! Going to bake me a Lael-Berry pie tomorrow in your honor!!! Dana you are the best! I love you and miss you SO much!! 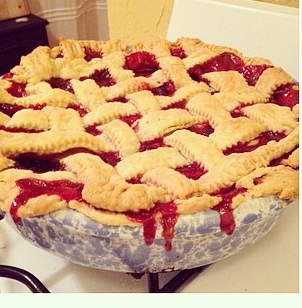 Send me a picture of your pie! You are so right! I need to get those coats off the hooks! Great idea…you are so AWESOME!